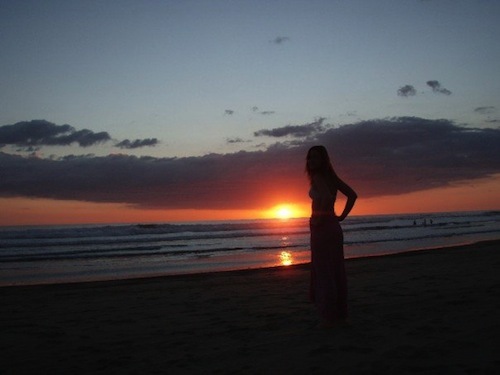 About a decade ago, on a whim, I took a trip to Costa Rica and opened the door to a world I didn’t know existed. I still remember crowding around the computer with my friends and studying ticket prices. I remember feeling a little silly that I had never been out of the country except for one brief trip to Canada when I was 10. I twas confused but determined as I applied for my first passport. Beaches, monkeys, and learning to surf were all I thought about as the weeks ticked by. When I returned I couldn’t shake the feeling that everything I saw- the waterfalls, the monkeys, the flowers- might be different if I were to return. I felt incredibly grateful for having been able to experience what I had at the exact time that I had. Months later, already bitten by the travel bug (but not entirely aware of that fact), I was off to India. 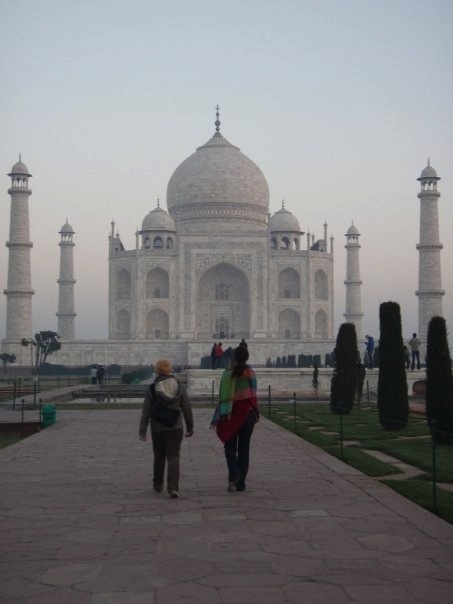 I touched the walls of the Taj Mahal and drank my weight in chai. I wrapped myself in a sari for a wedding and was genuinely surprised to learn that New Delhi in December is cold. 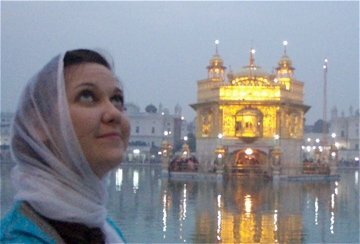 One morning, at dawn, I found myself atop the Golden Temple in Amritsar. As the call to prayer went out, everyone around me dropped to their knees. The newness of the moment and my ignorance of cultural practices made me pause before I followed suit and for a brief moment, I was alone, standing atop the Golden Temple, the whole colorful world around me, on their knees, connected in an invisible way by their love, their need, and their devotion. Travel is full of these moments. The moments that take your breath away. Moments that suddenly illuminate a belief that had always lived inside of you but you never knew you had. Moments that happen in an instant that you will replay in your mind and retell to your friends for the rest of your life. Cliche as it may be, these moments feel nothing sort of magical, especially in those early days of travel. But here’s the thing about moments- if we don’t take them out of the memory box they don’t do us much good. If we romanticize the moments and forget to employ the lessons those moments taught us, the growth it encourages within us, then those moments become great stories and not much more. Travel is gift but if we forget to actively employ the breathtaking moments and incorporate them into our everyday thoughts and actions, we miss the opportunity to “connect the dots”. Travel cannot fix all things. It cannot replace the day to day work of being a thoughtful human being, connected in a meaningful way to one’s core beliefs and values. If we do not do the work in our day to day lives; If we let the lessons we have learned slip by the wayside when we return; If we write blog posts about our experiences but forget to turn our philosophical ponderings into action, then those moments never get to work their real, transformative magic. Having that brief moment of realization at the Golden Temple was amazing. It is a moment I replay over and over and it still takes my breath away a little, each time I think of it. The real gift, however, has been the constant development and deepening of my belief that we are all connected by our shared humanity. That moment has touched my life far beyond the 60 seconds it took me to take it all in, take a breath, and drop to my knees. It is a moment that reminds me to never forget connect the dots between the other wondrous moments and my day to day life. Moments like these do not have to happen atop the Golden Temple. Where have you experienced wondrous moments?